Arlington Heights offers not only a wide variety of housing choices- (You can see all the current real estate listings in Arlington Heights here) but a wide range of recreational opportunities, nationally known Arlington Park Race course, a vibrant downtown area with a commuter railroad station, a fabulous theater, great restaurants and much more. This article gives you an introduction to some of the places that make Arlington Heights a special place to live. If you want to know more about Arlington Heights or would like to buy or sell in town or in the surrounding communities, call or text me at 847-401-7904, email me or visit my Arlington Heights Page. The Arlington Park Racecourse is a great place for summer entertainment for the whole family. The facility offers thoroughbred racing Wednesday through Sunday with approximately 90 race days per year. Arlington Park is home to the Arlington Million and the Breeder’s Cup. If you decide to leave the kids at home, Arlington Park also offers several adult themed events such as Binny’s Taste at the Track. where you can watch and wager on the heart pounding sport of Thoroughbred horse racing while enjoying a sampling of over 400 domestic and international wines from Binny’s. Plus, top Chicagoland restaurants will be providing a sampling of signature dishes to pair with your favorite wine. 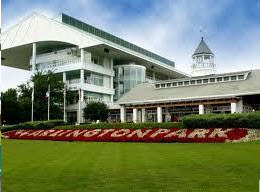 The Arlington Park Racecourse is located at 2200 W. Euclid Avenue, Arlington Heights, IL 60005. Entrances on Euclid Ave. & Wilke Road. 8470.385.7500. For more information visit their website www.arlingtonpark.com. Do you have plans for Saturday night? If not, you might want to consider the Metropolis Arts Center. Metropolis Performing Arts Centre is a robust live entertainment theatre, located in downtown Arlington Heights, Ill. Aptly named, this complex is home to a 350 seat theater, ballroom, four classrooms and thirteen music studios. Metropolis offers a diverse array of Chicago’s most talented performers and performance troupes, as well as national acts spanning virtually all performance genres. 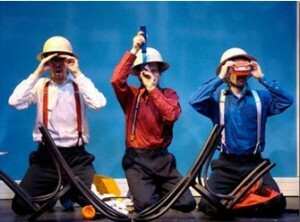 In a typical season, they have over 300 performances of more than 40 different productions. Their School of the Performing Arts serves over 2,500 students and the Stories in Action! Series for kids gives more than 18,000 students an exciting theatre-going experience. They also offer outreach programs that bring the arts to students, individuals with special needs, seniors and hospice patients. Metropolis is a perfect place for thespian’s in training or simply anyone that has a love of theatre! Very few suburban towns have been able to achieve dynamic and exciting downtown areas the way that Arlington Heights have. Their downtown area offers anything you would want for date night or the whole family! You can find a seasonal farmers market on the square every Saturday during the summers. They also host several other events in the square throughout the year. Downtown Arlington Heights is perfect for date night. You will find an excellent selection of restaurants and shopping, Italian, Mexican, and Tapas just to name a few. many might offer a quick bite while others will give you a high end dining experience. Ice cream shops are around if you might want to end the evening with a sweet tooth. Keep an eye out for great shopping opportunities as downtown is abound with specialty retailers and boutiques.